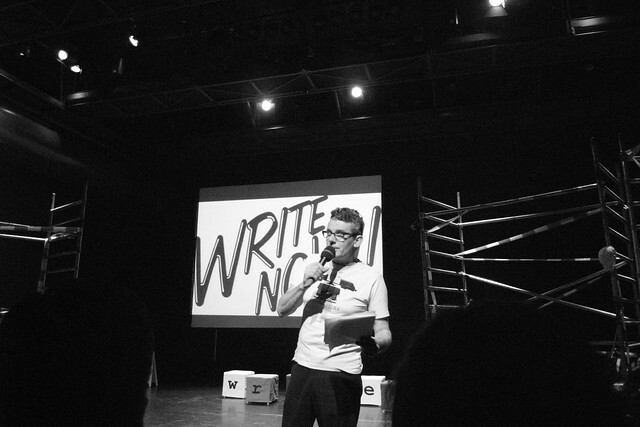 Some photos taken in the Rotterdamse Schouwburg two nights ago, where I attended a Write Now! young writers contest regional-preliminary-winners-announcement-event-thing. Which turned out to be great fun!! Didn't have anything planned for today (most interesting films were sold out and most non-sold-out films didn't seem interesting), but decided at the last minute to attend the Nagasaki Shunichi interview in the Schouwburg, which inspired me to go and see his Heart, Beating in the Dark (new version), which turned out to be pretty good.